In keeping with Rollins’ mission of global citizenship, there will be several international summer field studies taking place in May and June. These field studies span a wide range of interests including research, community service, ecology, education, history, theater, and community development. While some Maymester field study courses, such as the Marine Biology Laboratory, require prerequisites and others, such as the National Parks and Protected Areas Costa Rica trip, require co-requisites, not all courses do. 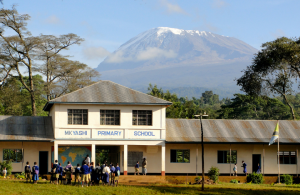 Students can “Journey to the Middle Kingdom” on a field study to China or even “Study Performance Design at the Edinburgh Fringe.” This year, Dr. Chong will also be offering a new field study that will be taking a group of Rollins students to Tanzania in the beginning of June. The “Community Development in Tanzania” field study offers students a culturally-immersive opportunity to learn about sustainable development in one of the poorest countries in the world, to work side-by-side with Tanzanian families on organic gardens, and to learn about global tourism and the impact on tourism on the environment and poverty. Sam Barns, a Rollins alumnus who works with poor families in rural areas and who is also developing an eco-lodge, will host the students on this trip. Tourism with regards to this eco-lodge takes on a new meaning, as all profits from tourists staying at the resort will directly feed back into the community. As college students studying in a state recognized internationally for its own host of tourist attractions, we come to realize that tourism has an impact on the local community in different ways. In Tanzania, where tourism depends on the state’s less-developed natural landscape, these repercussions can be even more apparent. Students have already shown a lot of interest in the Tanzania field study as well as some of the other field study offerings. WaSH, a field-study led annually by Dr. Bernal, promises to be culturally immersive, research intensive, and community-service-oriented. On this trip, students can expect to increase their fluency in Spanish (even though the language is not a prerequisite for trip attendance). Students will also learn about water filtration techniques and the importance of clean water, conduct pH, turbidity, and chlorine level water analysis, and distribute water filters to communities in need of clean water. Students will be able to interact with many locals as they travel to different parts of the country to distribute the filtration devices and test different water sources. The deadline to apply to any of these programs is February 20; applications are already open on Foxlink. To view all course offerings, students can go to the Rollins International Programs’ Summer 2017 Field Studies page.